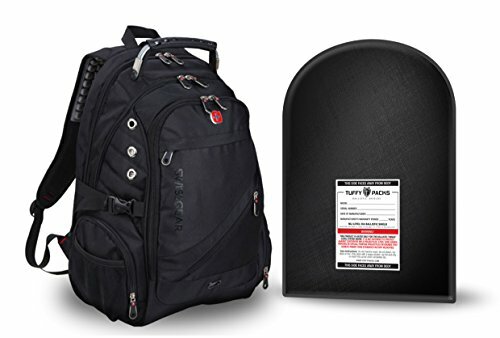 New 2018 High Quality Waterproof SwissGear Black ScanSmart Backpack fits up to 15 Inch Laptops. Includes Removable TuffyPack IIIA Lightweight Ballistic Panel 12 x 16" Insert. Combination SwissGear ScanSmart Pack and Removable Bulletproof insert. "AirFlow" Back Design for Comfort and Durability.